Cargotec's MacLux lighting system for cargo holds uses LED technology to produce a high light output from a low power input. "MacLux is an easy and cost-effective way to increase the safety of working conditions on board by adding light to areas where it is needed, for example cargo holds and lashing bridges, possibly also on RoRo car decks," said Janne Suominen, Product Manager for new products, Dry Cargo. "We started the development project following feedback from our customers". 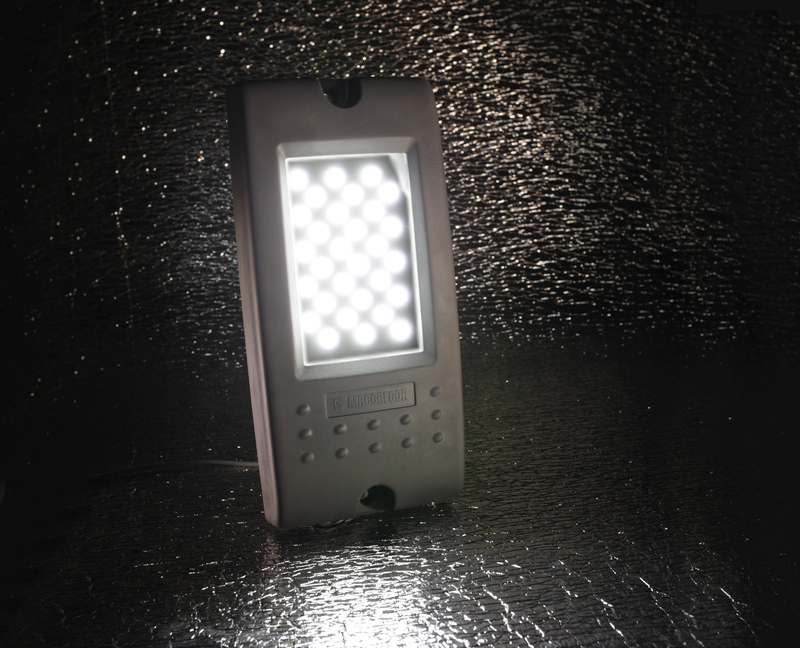 "Our MacLux lighting is resistant to vibration, temperature changes and corrosive environments. Advantages of LED lights include low maintenance; their lifetime can be up to 40,000 hours; and a lamp's surface temperature stays cool." MacLux hold lights are available in 21W and 40W versions for different lighting needs; a 40W LED lamp produces the same lumens as a 200W halogen lamp. The lights' robust plastic bodies fulfil IP66 requirements, their compact dimensions enable easy installation in restricted spaces, and they can be arranged flexibly, such as in and around cargo holds. With several choices of lenses, the system is suitable for various locations and environments. Cargotec is testing the equipment for IP classes 67, 68 and 69K, and as the MacLux lights are well protected the company is also investigating ATEX approval for using them in potentially explosive atmospheres. The lights connect to generally available power supply equipment, and so can be fitted on existing ships as well as newbuildings. They are tested according to IACS requirements at VTT (Technical Research Centre of Finland).